Need Mobile Tire Services? FixonRoad.com™ can help! The Tire Industry Association supports a recent Environmental Protection Agency decision regarding scrap tires. The EPA states that scrap tires will not be considered as solid waste under the Clean Air Act. If scrap tires would have been classified as solid waste, the scrap tire recycling market would have been devastated and tire prices would have soared while creating a negative impact on the environment. Using tire-derived fuel is a great way to keep scrap tires from landfills. It also provides the tire industry with a cost-effective, ‘green’ alternative. Truck tires blow out on the road. What do drivers of buses, recreational vehicles, semis, tractor trailers, reefers, freightliners, low boys, 18 wheelers, heavy haulers, and tow trucks do with their flats tires? Mobile Tire Service is very important to semis, trucks, big rigs, 18 wheelers, buses, freightliners, tractor trailers, low boys and reefers. Trucks are on the road with drivers that are earning money for being in motion. Truckers cannot afford to be stuck on the road without roadside assistance. Truck tire service is a viable solution to the problem of flat tires. More and more fleets of trucks, tractor trailers, buses, freightliners, low boys and reefers are using mobile tire services to help keep them on the road longer and to maintain their trucks more efficiently. 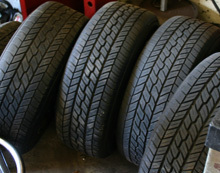 If you need any mobile tire services, be sure to visit us online at FixonRoad.com™ or call us at 800-208-6364. At FixonRoad.com™ , we do our best to provide you with the best and most reasonably priced Truck Repair and Services Business Directory in the USA. 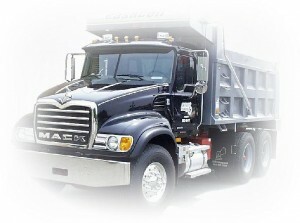 FixonRoad.com™ give our visitors access to the most comprehensive list of Truck Repair service providers around. Our Truck Repair and Road Service providers specialize in: Mobile Repair Service, Truck Repair Towing, Mobile Trailer Service, Trailer Repair, Truck Stops with Repair, Mobile Tire Service, Truck Tire Sales and Tire Service, Quick Lube, Mobile Bus Service, Bus Repair, Truck Air Conditioning, Mobile RV Service, RV Repairs and Service , Mobile Bus Service, Bus Repair, Truck Glass Repair, Mobile Refrigeration Service, Reefer Repair and Service, Liftgates, Mobile Hydraulics Service, Truck Body Shops, Truck Parts, Load Shifts and Transfers, Truck Welding Frame, Truck Alignment and Truck Suspension. Posted in Mobile Tire Services, Truck News, Truck Roadside Repair Service | Comments Off on Need Mobile Tire Services? FixonRoad.com™ can help! 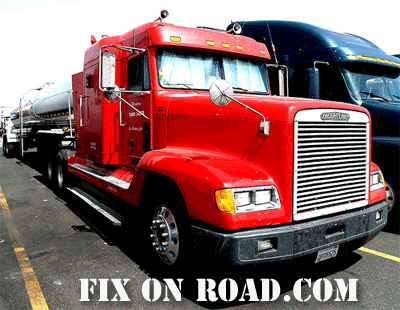 Contact Fix on Road™ or visit us online at FixonRoad.com™ to arrange for our listings of on-site truck repair services designed to get your truck back on the road as soon as possible. Are you searching for a reliable and honest truck repair shop to help keep your truck on the road? Receive expert truck repairs and truck tire sales and truck tire service anywhere in the continental US from our mobile truck repair directory. You can get in touch with Fix on Road™ recommended truck repair service centers 24 hours a day! Our truck repair stations service companies such as United Van Lines®, U.S. Express™, Bekins®, and UPS™ Freight. Contact Fix on Road™ or visit us online at FixonRoad.com™ to arrange for our listings of on-site truck repair services designed to get your truck back on the road as soon as possible. Servicing your truck from bumper to bumper and everything in between has never been easier thanks to the truck professionals at Fix on Road™. From everything to repairing an A/C system to rebuilding the truck motor – Fix on Road™ is the truck repair service directory to choose. Our emergency and on road truck repair services include repairs on clutches, transmission repair, brake service, diesel injection service and much more. Does your truck need tire service? Bald tires and truck tires that need service are an accident waiting to happen. Why not eliminate the fear of hydroplaning or having a truck tire blow out? Our directory of truck tire repair stations allow you to choose from the top names in tires, such as Dynatrac, Dyna Cargo, GT, Goodyear™, OHTSU™, Michelin™, and Bridgestone™. Visit our truck repair service directory if you need to bring in your truck for regular DOT inspections. Annual inspections are crucial as they help to ensure that you truck is safe for traveling. Fix on Road™’s directory has listings of truck repair service stations that are qualified to inspect both trucks and trailers and oversee and approve all necessary safety regulations. So, before you make your decision on whether to use nitrogen to inflate the tires on your tractor trailer, freightliner, bus, recreational vehicle (RV) or reefer – or just use regular air, be sure to do your research so that you can make a wise decision. If you need any mobile tire services, be sure to visit us online at FixonRoad.com™ or call us at 800-208-6364. Should I Repair My Truck or Should I Buy a New Truck? Sometimes it may cost more to refurbish the old tractor trailer, freightliner, bus, recreational vehicle (RV) or reefer than to just purchase a new one. Whether you own one tractor trailer, freightliner, bus, recreational vehicle (RV) or reefer – or an entire fleet of trucks, there comes a time when one must decide whether it is more cost effective to repair the vehicles or to buy new ones. Part of this decision making process involves the cost and quality of your Truck Repair Service of choice. In addition to Truck Repair Service fees, you also must consider the cost of Truck Parts. Another option to think about is to purchase used trucks, but then you may have to deal with other headaches if the trucks were not serviced or maintained properly. Then factor in the cost of purchasing a new truck and now you can make your decision. Sometimes it may cost more to refurbish the old tractor trailer, freightliner, bus, recreational vehicle (RV) or reefer than to just purchase a new one. If you do decide to repair the truck, who knows how long it will be before the truck needs to be serviced again? So, before you make your decision on whether to repair your old tractor trailer, freightliner, bus, recreational vehicle (RV) or reefer – or just buy a new one, be sure to visit us online at FixonRoad.com™ or call us at 800-208-6364. Posted in Road Service Locator, Truck Roadside Repair Service | Comments Off on Should I Repair My Truck or Should I Buy a New Truck? Do you need truck repair services? Do you need truck repair services now? You have come to the right place! FixonRoad.com™ provides the best Truck Repair and Services Business Directory in the United States of America. We give our visitors access to the most comprehensive list of service providers in the following specialties: Mobile Repair Service, Truck Repair Towing, Mobile Trailer Service, Trailer Repair, Truck Stops with Repair, Mobile Tire Service, Truck Tire Sales and Service, Quick Lube, Mobile Bus Service, Bus Repair, Truck Air Conditioning, Mobile RV Service, RV Repairs and Service, Mobile Bus Service, Bus Repair, Truck Glass Repair, Mobile Refrigeration Service, Reefer Repair and Service, Liftgates, Mobile Hydraulics Service, Truck Body Shops, Truck Parts, Load Shifts and Transfers, Truck Welding Frame, Truck Alignment and Truck Suspension. Our directories include the following states: Alabama, Arizona, Arkansas, California, Colorado, Connecticut, Delaware, Florida, Georgia, Idaho, Illinois, Indiana, Iowa, Kansas, Kentucky, Louisiana, Maine, Maryland, Massachusetts, Michigan, Minnesota, Mississippi, Missouri, Montana, Nebraska, Nevada, New Hampshire, New Jersey, New Mexico, New York, North Carolina, North Dakota, Ohio, Oklahoma, Oregon, Pennsylvania, Rhode Island, South Carolina, South Dakota, Tennessee, Texas, Utah, Vermont, Virginia, Washington, West Virginia, Wisconsin and Wyoming. Just visit our website at http://fixonroad.com and search by zip code and by truck repair and services needed. You will be extremely pleased with the results of reliable truck repair and services that you are provided with. Feel free to visit us online at: Fix on Road.com or call our Truck Repair Service professionals at (800) 208-6364. FixonRoad.com™ is your one-stop shopping source for Mobile Repair Service, Truck Repair Towing, Mobile Trailer Service, Trailer Repair, Truck Stops with Repair, Mobile Tire Service, Truck Tire Sales and Service , Quick Lube, Mobile Bus Service, Bus Repair, Truck Air Conditioning, Mobile RV Service, RV Repairs and Service, Mobile Bus Service, Bus Repair, Truck Glass Repair, Mobile Refrigeration Service , Reefer Repair and Service , Liftgates, Mobile Hydraulics Service, Truck Body Shops, Truck Parts, Load Shifts and Transfers, Truck Frame Welding, Truck Alignment and Truck Suspension. FixonRoad.com™ saves you time and give you access to our database of Truck Repair Service listings throughout the United States free of charge. All you have to do us visit us at Fix on Road.com, enter the zip code and the truck repair service that you need and let FixonRoad.com™ do the rest. It is our priority to provide you with the best Truck Repair Services & Mobile Repair Units all over the United States to get you back on the road as fast as possible. Whether you are looking for On Road Mobile Service or if you able to get to a Service Station, FixonRoad.com™ can help. We take pride in the relationships that we build with Truck Repair Service Centers across the United States and we are sure that we can help you locate a company that specializes in the Truck Repair services that you need.